As ER 71 ends, our latest group of Eagle Rock School graduates — seven this time around — will depart our campus one last time amidst a thoughtful display deserving of such an achievement. And it all begins at 4pm MT this Friday, April 14, in our Human Performance Center. 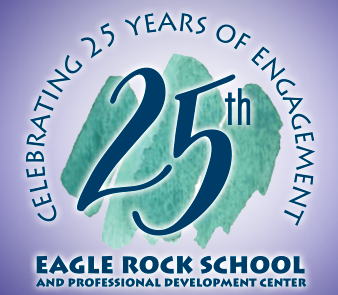 Marking the 71st trimester since Eagle Rock School and Professional Development Center’s founding back in the early 1990s, this latest trimester graduation ceremony will be broadcasted live, online, via our Ustream / IBM Cloud Video channel: http://www.ustream.tv/channel/eagle-rock-school-graduation. 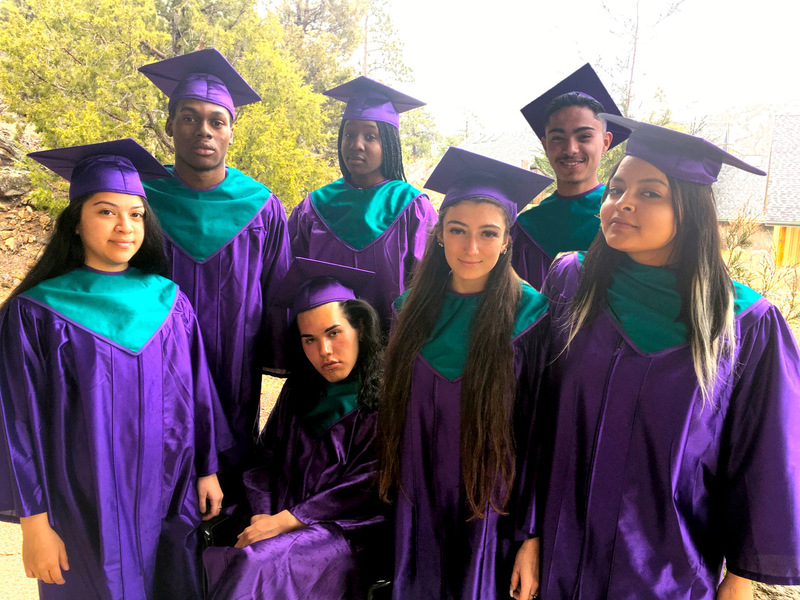 As you may imagine of students who are now fully engaged in their own education, lives, and communities, our seven graduates have big plans in mind for the immediate future. Those objectives, along with their Eagle Rock School-related accomplishments and advice for incoming students, are outlined below. Albert Molina (arrived at the beginning of ER 61) — Albert arrived at Eagle Rock in September of 2013 from Los Angeles. Most recently a member of Aspen House, he lived in two other houses during his time here. Over the past 10 trimesters, Albert has been involved in Mag 7 (a campus group featuring Eagle Rock’s seven most veteran students that focuses on various leadership roles and opportunities), and was instrumental in starting a debate group where students and staff practice their rhetoric to persuade others to take their view on specific topics. Albert plans to participate on an upcoming National Outdoor Leadership School (NOLS) wilderness trip, and then earn a real estate license while simultaneously working on a college-level degree in business. His plan calls for shadowing a mentor in the field to gain experience on what it means to be a real estate agent. His long-term objectives include investing in the stock market with the intent of owning his own company with another investor. Eagle Rock School’s Math Club started out with a small group of students hanging around after class to play some games — specifically, the students and I spent the hour before dinner playing code-breaking and multiplication games, and it soon became apparent that Set was evolving as the game of choice. 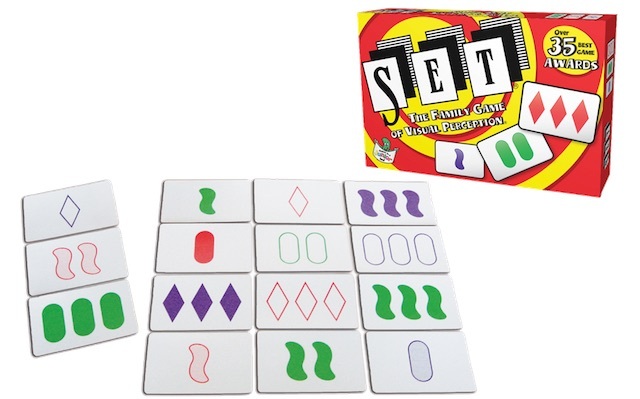 The game of Set pushes its competitors to discover patterns in sets of three cards at a time, and it quickly became an addictive pastime for my Math students. They began playing in the Lodge at mealtimes, then found themselves playing a few hands during class breaks. This soon spread to the evening hours with participants “practicing” in their houses. Turns out that, for the most part, these card-carrying Set players were also heavily involved in recruiting for the school’s Math Club.